For those of you rockin’ the tow-behind Glamper lifestyle, I thought we’d discuss our recent quest to find a new tow vehicle. 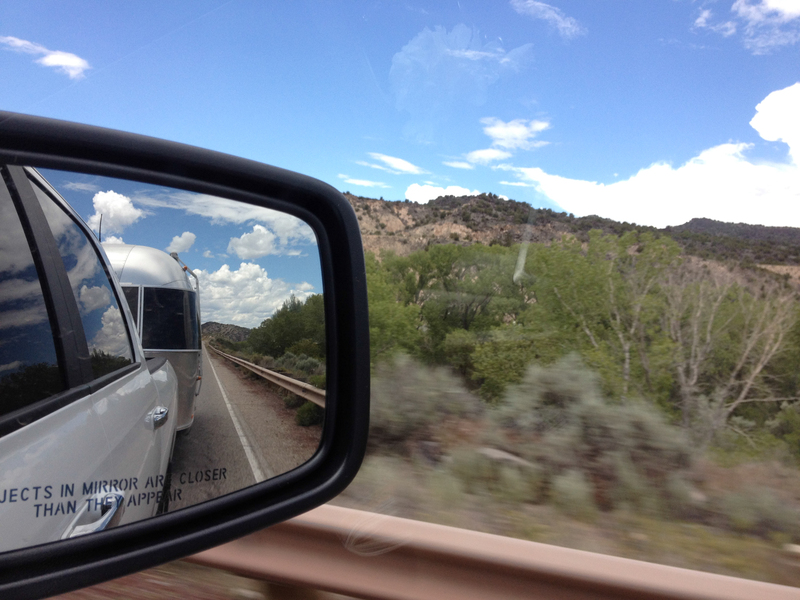 When we first bought our Airstream, we started towing with my beloved ’04 Jeep Grand Cherokee (AKA “Ralphie”). He was sturdy, powerful, and manly. (I mean… it’s a Jeep. Right?!) He even had the battle scars to prove his indestructible nature… full-body hail damage inflicted by a merciless Oklahoma thunderstorm. For those of you who are considering the RV/Camper route, there are few things that one needs to know about towing. First, ALWAYS chock the wheels. (We may have learned this the hard way… thankfully we didn’t roll our new camper off a cliff—but it was close.) Second, you’ll need the right tow vehicle, and you’re going to want to do some research so you can do it right… and safely. Laura and I were admittedly newbies to the camper thing (and in many ways, we still are!). In fact, we bought our Airstream without ever actually having camped in a RV. Thus, we had to learn just about everything from scratch. Navigating my way through the acronym-heavy world of Tow Vehicles made my head hurt. And I’m a pilot, for god’s sake. “Acronym” is practically my native language.